الخيار الأفضل للحصول على المتعة والاسترخاء, Capital Executive Apartment Hotel يقع في منطقة برادون في كانبرا. يمكن من هنا للضيوف الاستمتاع بسهولة الوصول إلى كل ما تقدمه هذه المدينة النابضة بالحياة. إن سهولة الوصول من الفندق إلى المعالم السياحية الشهيرة الكثيرة في المدينة كمثل ‪The Hamlet‬, Canberra Medical Negligence Solicitors, ‪Canberra City Church‬ هو استثنائي بحد ذاته. إن الخدمات التي يقدمها Capital Executive Apartment Hotel تضمن للنزلاء إقامة مريحة. يقدم الفندق مكتب الاستقبال على مدار الساعة, مرافق مخصصة لذوي الاحتياجات الخاصة, تخزين الأمتعة, واي فاي في المناطق العامة, صف السيارات لضمان الراحة القصوى لضيوفه. تتضمن كل غرف النزلاء وسائل الراحة والتسلية المصممة خصيصاً لضمان الراحة القصوى للضيوف. يقدم الفندق خدمات رائعة كمثل حوض استحمام ساخن, مركز للياقة البدنية, ساونا, مسار جولف - ضمن 3 كم, سبا لمساعدتك على الاسترخاء بعد نهار طويل من النشاط والتجوال في المدينة. استمتع بخدمات لا يعلى عليها وعنوان ذو اعتبار في Capital Executive Apartment Hotel . The room/apartment was quite spacious, and spotlessly clean. Facing onto a major road, but very well soundproofed , so quiet for sleeping. Quick check-in and instantaneous check-out. Wi-fi costs extra, and signal not great, but easy to tether my mobile for consistent strong signal. There are no frills here, but it was a very convenient and comfortable stay, and I would happily book here again. These apartment are just on the edge of town, and within easy walking distance to the centre (3 blocks). The rooms are old, but clean and roomy. The staff are very good and the bed is extremely comfortable. 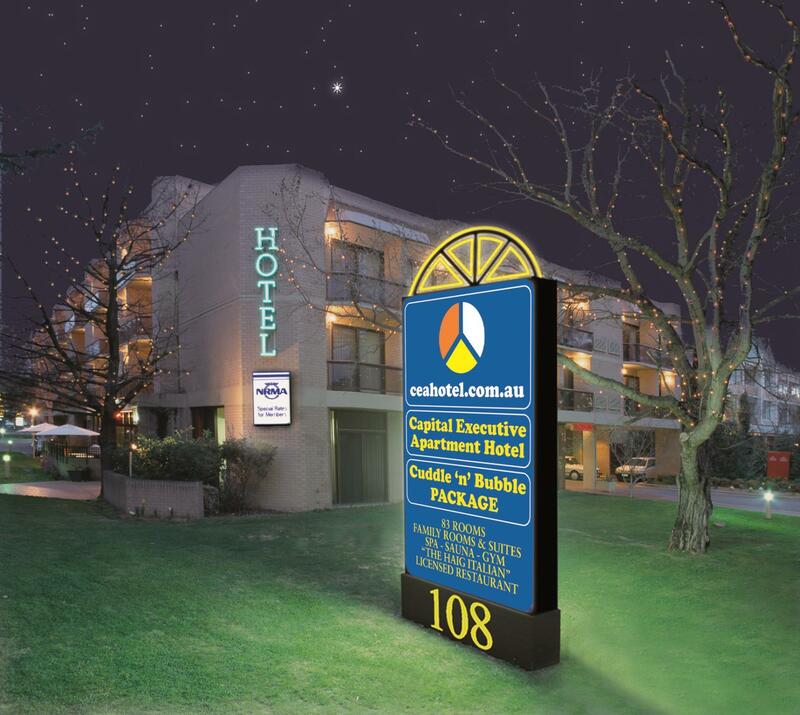 I recommend these apartments on the basis of excellent value for money, within Canberra. We have stayed twice here now and have enjoyed the visit each time. 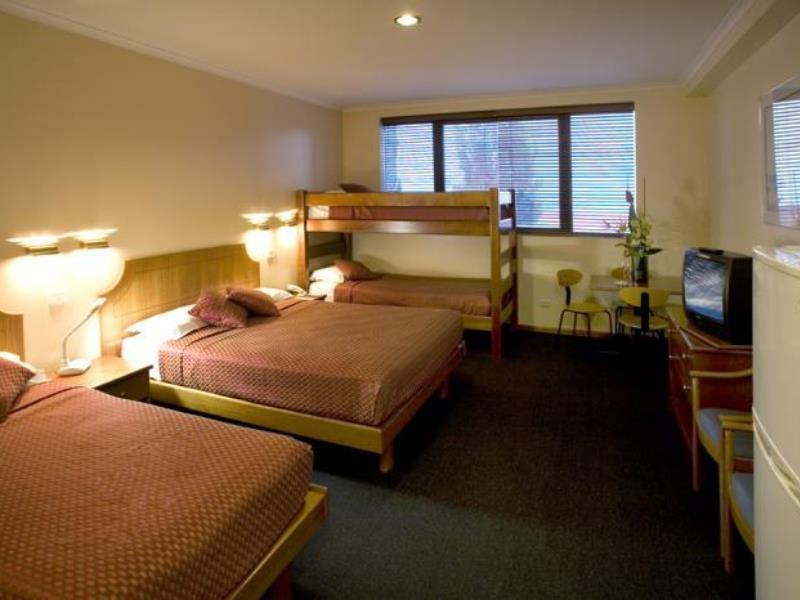 The rooms are large and well appointed and the staff are very efficient and friendly. Our only small issue is the confined parking spaces but they are undercover and pretty safe. 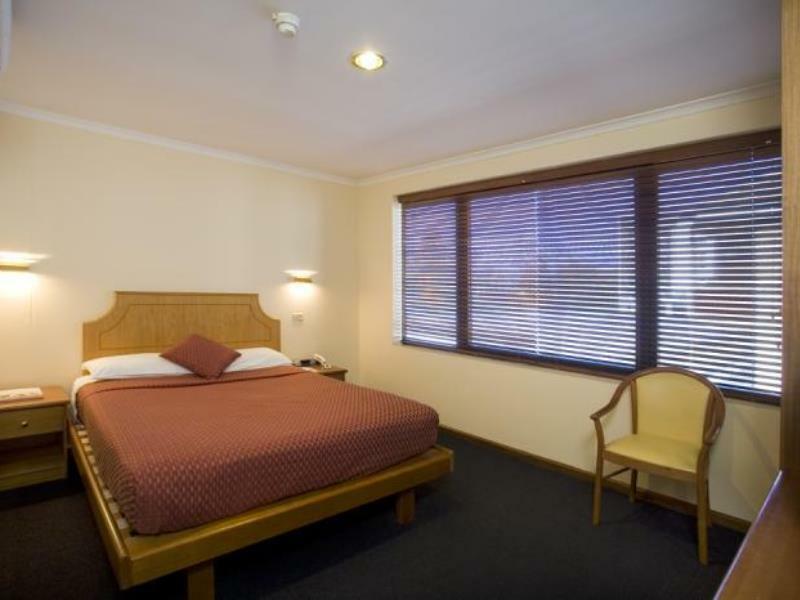 We were very surprised at this quality motel with excellent position right near the CBD and with excellent rooms that are fully kitted and clean. The staff were very welcoming. There is limited parking for the size of the motel but we squeezed in. This hotel although a little old is very good . The Checkin was fast and checking out was great and they stored my bags until night. It's a 10 minutes walk to the city and a cab from airport about $32. Even closer to bus terminal as there are heaps of buses to Sydney . The room was equipped with microwave and hot plates as well as all utensils . There's free tea and coffee and also hot chocolate with free kit kats. Nice touch ! The staff gave me free souvenir playing cards at the checkout . Great staff! 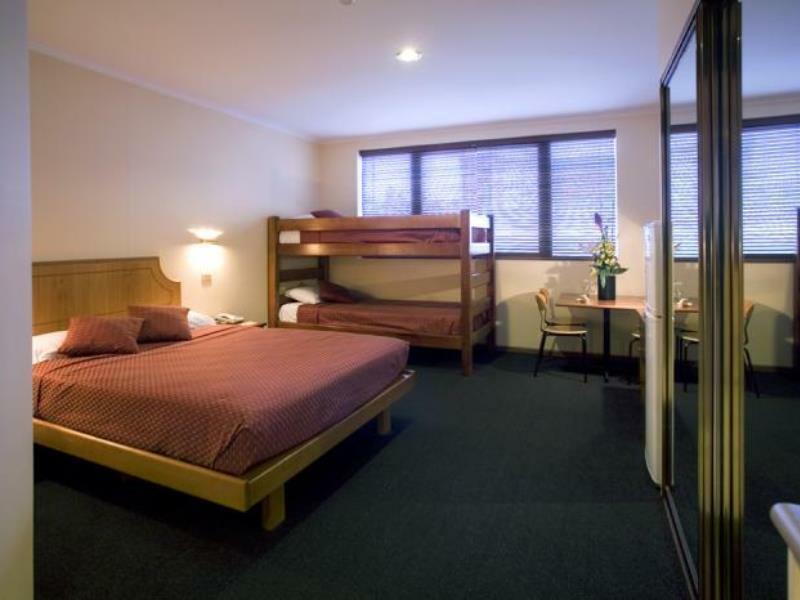 Good location: in city central, walking distance to bus station that goes to major cities such as Sydney and Melbourne. There is a kitchen in the room where you can cook. My room is a group room for five people so it is good value for money. Near to mall Canberra City Centre where it has a food court with many Asian food and a supermarket. Walking distance to a 24hour McDonalds. The housekeeping doesnt clean the room well, it isnt tidy. Wifi only available in dining area, no wifi in the room. My friends and I stayed there for a night and it was lovely! Good location, friendly reception, clean room, and good value. Definitely checking it first for accommodation next time when I get back to Canberra. Room facilities are pretty old. Cleanliness not up to mark, you can see cobwebs old the window sills. Rooms were probably not cleaned on a daily basis. Water pressure OK but not consistent for e.g. bath water may suddenly turn cold due to hot water running low. My expectations were already low going in. But wasn't expecting paper thin walls and can hear the neighbours conversation all night long. They were not even being rowdy, but the walls are just that thin. Every time anyone on the floor uses the toilet or showers, you can hear the pipes vibrating... all night long. They also have a common area right outside your bedroom so people can chat all night long! Car park space is extremely tight. Witnessed a gentlemen try to park his car in 4 different spaces but just couldn't fit. Had booked a family room which is meant to be a Queen, single and a bunk. Agoda's system is terrible and did not book the right room with the hotel. After over an hour on the phone, was guaranteed the issue is rectified and the booking fixed....showed up to find a completely different room to what I booked (one bed less!!!). The location is fantastic, but definitely go in with low expectations. This is an OK hotel, but no great shakes. The wifi is only available in the lobby and in the dining area next to it; there is NO Wifi available in the rooms. The only complimentary paper available is the trashy Sydney Telegraph, no serious newspaper. The room is a bit spartan, but fine: a microwave and kitchenette, 2 fridges, a good bed, a sofa, hot chocolate sachets (in addition to coffee and teabags), 2 small complimentary Kit Kats in the fridge. 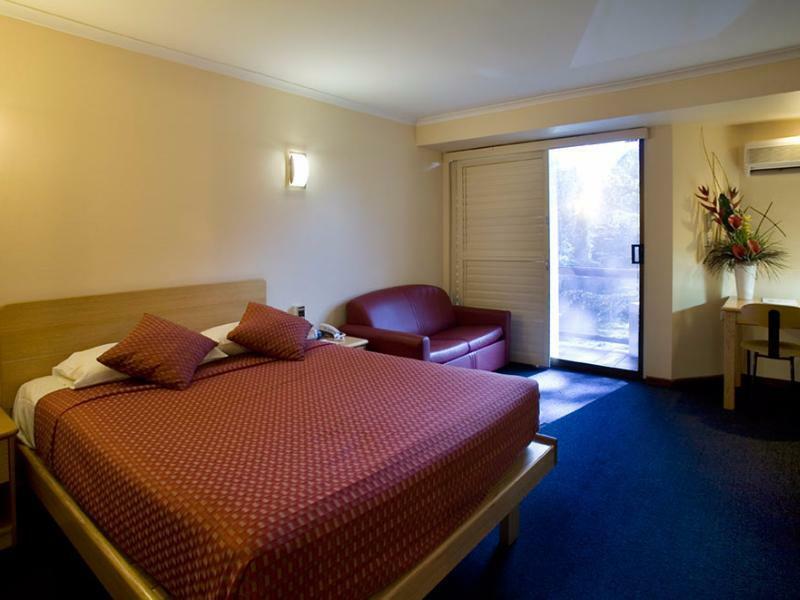 I could have stayed at the 4 star Novotel nearby in Northbourne Avenue for the same price, which I will do next time: a more central location and better value for money. It is on the main Boulevard leading to the government circle. Room well insulated from noise from the main Street. Facilities worn out by time and need refurbishment. The furniture is very old and room is smelly. The carpet seems very dusty without proper cleaning for long time. I don't get the hotel wifi from the room, i have to go to the receiption area in order to get hotel wifi signal, very inconvenient. Our room 406 was Good and would have been great if internet is working! The room is big with fridge, tiny kitchen with cutleries andgood size bathroom. The closet is vast but only has 4 hangers! Kettle and basic ameneties were provided so we were pleased by it! Our room was facing the road so every now and again we were woken by vehicle sounds. The bed was so soft that it bounces so much and we found it quite uncomfortable The online web should have indicated that they were under going renovations! The on going renovations start early in the morning that we can’t help but be woken up with the hammer and banging noise! The wifi is only accessible in the reception area and on a hot spot basis. The website clearly states that wifi is accessible on a certain area and with $10 extra pay wifi can be access! Obviously, we were informed by this young man at the reception that there is no such thing! That was quite a disappointment as we feel as if we were deceived by this false information! As I said on the booklet in my room, everything was satisfactory, but I suggest complimentary ear plugs because of the street noise. The staff were very pleasant, especially the young man in the Haig restaurant. Staff were friendly and their are plenty of options for meals within 3 blocks or an Italian restaurant in the complex. However I thought $26 for a simple (although delicious) pasta takeaway dish was expensive. Great value and excellent location. The rooms are getting a little tired and old. The bathroom was generally clean but had a couple of patches of Canberra black mould. The car spaces are tight for larger cars. But the location. Easy walk to Braddon eating strip.